Mumbai: Capital market regulator, Securities and Exchange Board of India (Sebi) on Thursday ruled out stopping short-selling as it has no evidence that short-selling is driving the market down, a top official said. 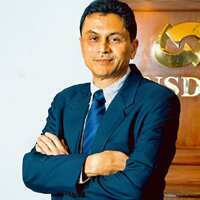 Bhave said that though some Western markets had banned short-selling, their markets had continued to decline further. “Their (financial) institutions failed one after another. Some of them have restarted short-selling in their markets," he said. Commenting on foreign institutional investors (FIIs), Bhave said the regulator has not found any FII having lent any shares off-shore after “we conveyed our regulatory disapproval to them on the issue". On the behaviour of the stock exchanges, he said it was not possible for Sebi or the stock exchanges to predict the movements of the market. Asked on the Sebi-Malaysian Securities Commission partnership, he said the two could work together in some areas, one of which could be cross-listing.